There was more strapped to my pack than inside it. 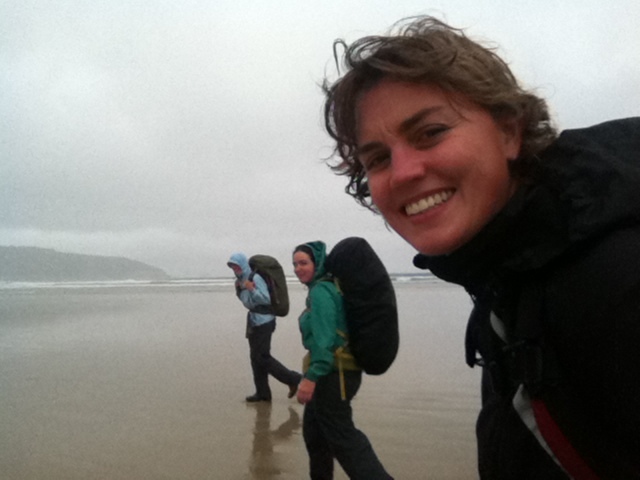 This past Australia Day weekend saw me setting off with trusty companions Katie and Amy for my first ever overnight hike. I have hiked and camped overnight before during my Kilimanjaro climb, but there we had porters carrying our food, tents and the majority of our gear. This time I had my tent, sleeping bag and mat, clothing, a third of the food and water to carry in my not so flashy 60L backpack. 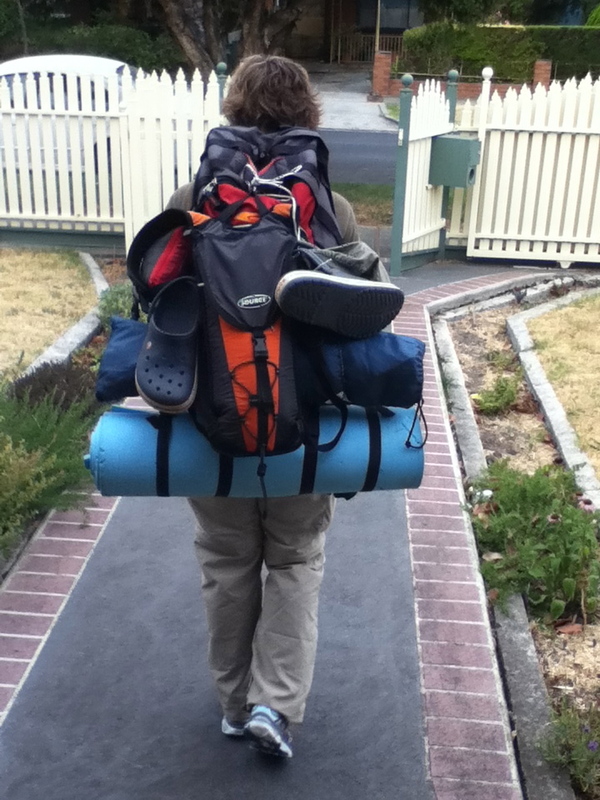 As I set off out the door you could tell I was a complete amateur. 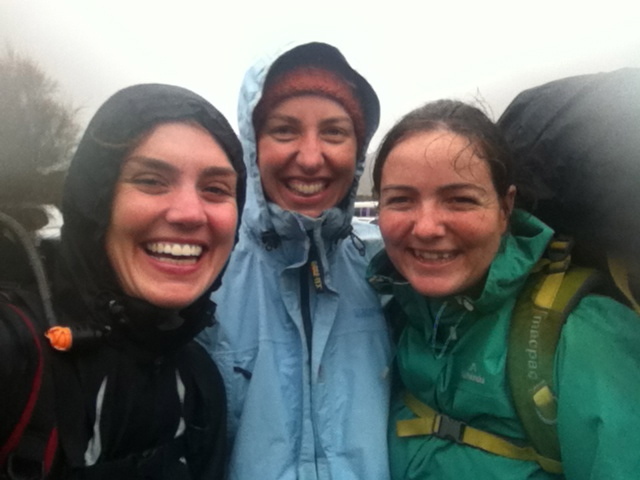 Still smiling as we set off into the rain. We left about 2 hours after our designated latest time of departure which saw us leaving Coburg around 10am. 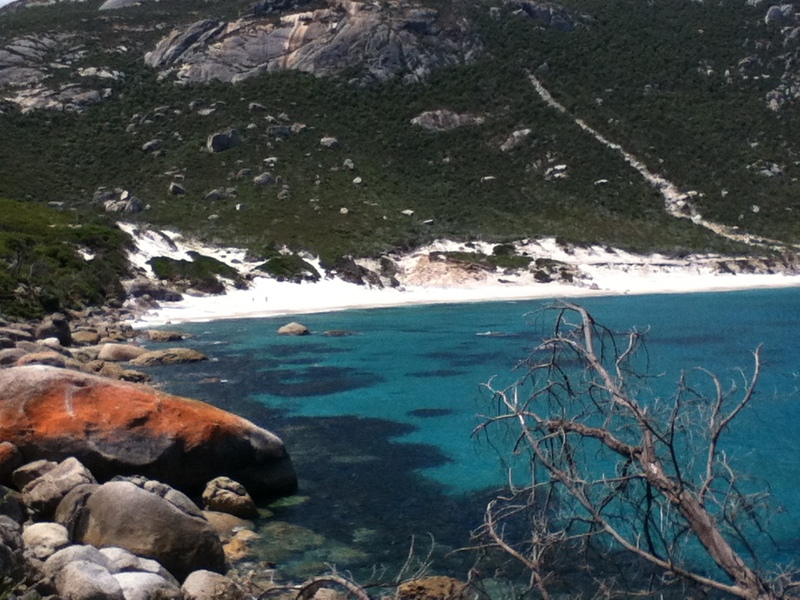 After stopping for coffee, filling up the air in our tyres and having a short break for lunch, we found ourselves entering Wilsons Promontory around 3pm. Just as we had all managed to strap our overweight packs to our backs, the rain started coming down. 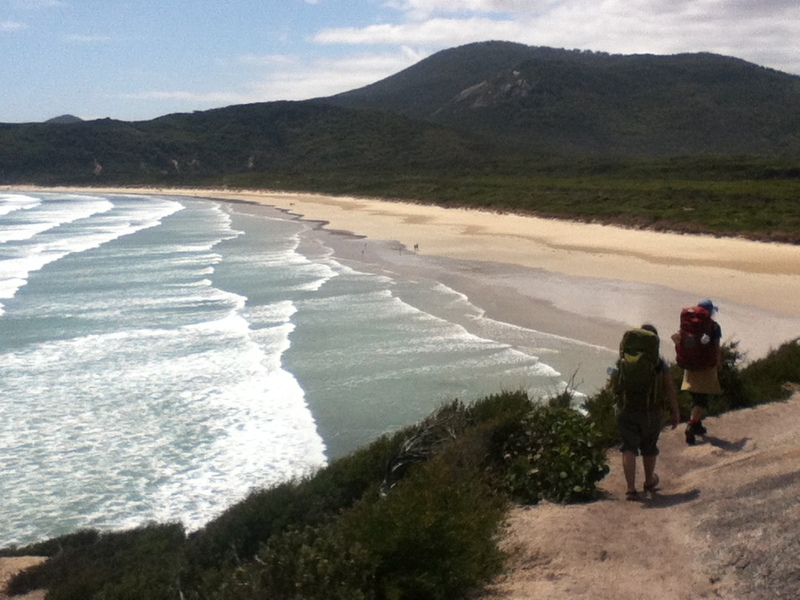 The first stretch of the hike was along the beach at Tidal River. It was at this point I started to wonder how on earth people move with such a gigantic amount of weight on their backs. It just didn’t feel right that my back was in agony so soon. We’d barely gone one kilometer. What should have been a glorious stroll down the beach. After about an hour I decided something had to be done about my pack. Before rearranging the contents both Katie and Amy took turns at carrying it. Seeing the pack on Katie’s back made me realise just how ridiculously it was packed. Watching her walk with it hurt my back and the fact I could almost run wearing hers renewed my faith in my ability to walk the remaining distance to the campsite. 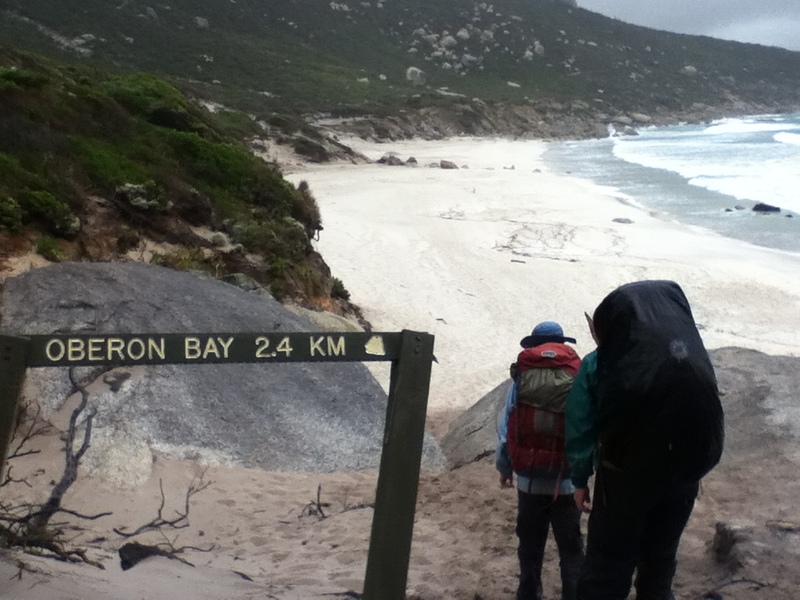 The total distance from Tidal River to our campsite at Halfway Hut was 12.5km. The rain continued all the way to the campsite. When we arrived at Halfway Hut our site had been taken by another hiker who we’d met along the trail. He’d told us previously that he hadn’t booked anywhere to stay, and as he’d taken the last spot we kindly asked him to relocate a few meters away, so that we could squish our two $30 tents next to one another in the space he’d taken with his one tent. 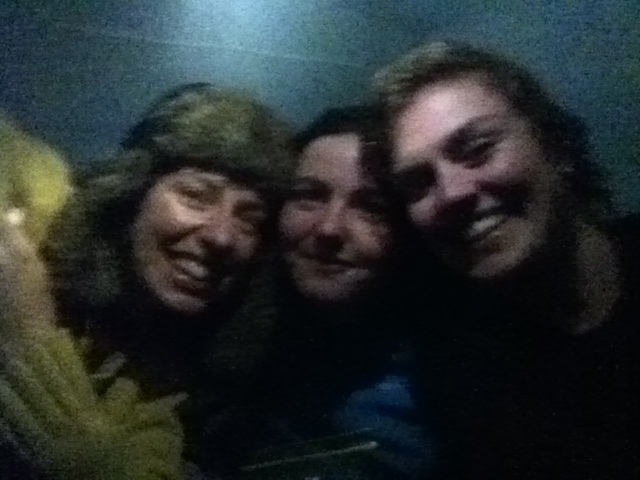 The three of us keeping warm in a two man tent fit for one. Despite the rain and the fact most of our belongings were drenched, Amy still managed to cook a delightful meal of red kidney beans and rice from inside the tent. We had no space to store our packs in our tents and nowhere underneath the rain cover, so we simply left them outside in the rain all night, only to realise in the morning we could have stored then in the small hut which gave the campsite its name. 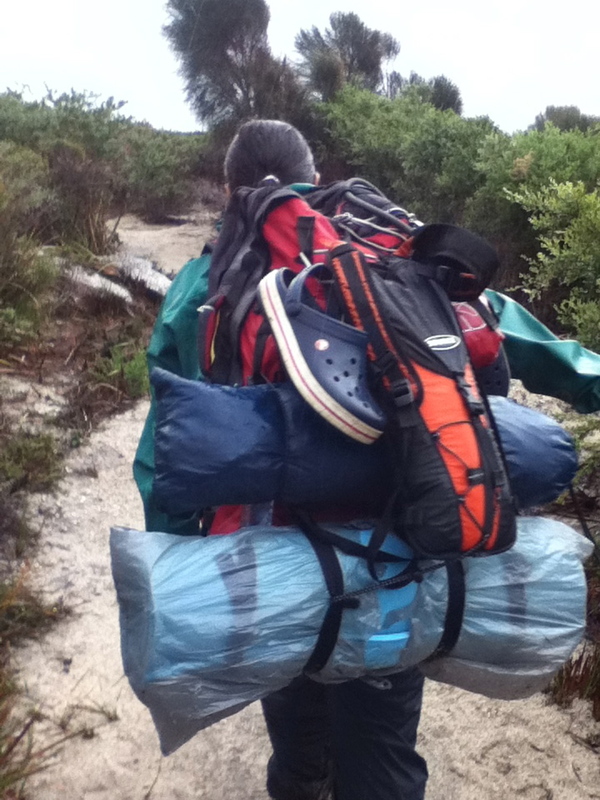 Luckily the next day we simply took a daypack and left our gear behind to dry. Sparkling blue water of the Prom. Day 2 was a complete contrast to the previous day with blue skies and sunshine. 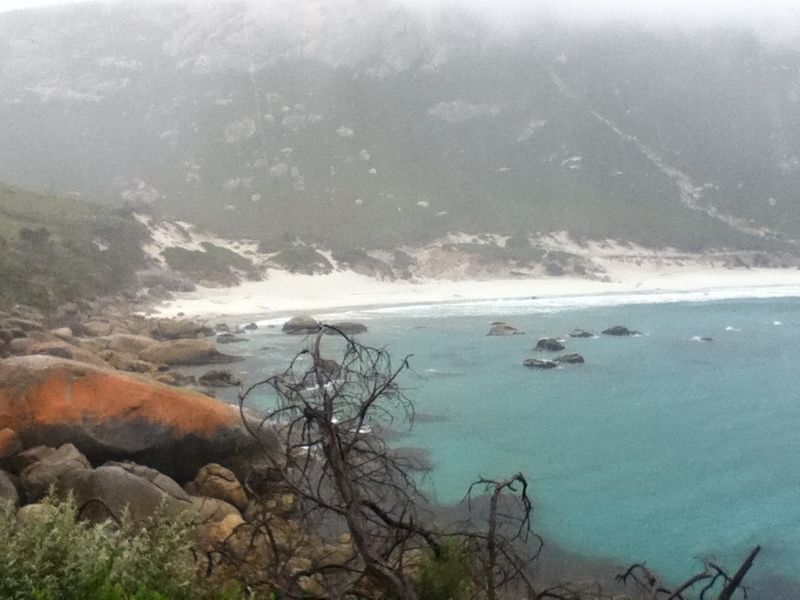 We walked a total of 15km from Halfway Hut to Waterloo Bay and turned around not far beyond there when we realised we had almost run out of water. 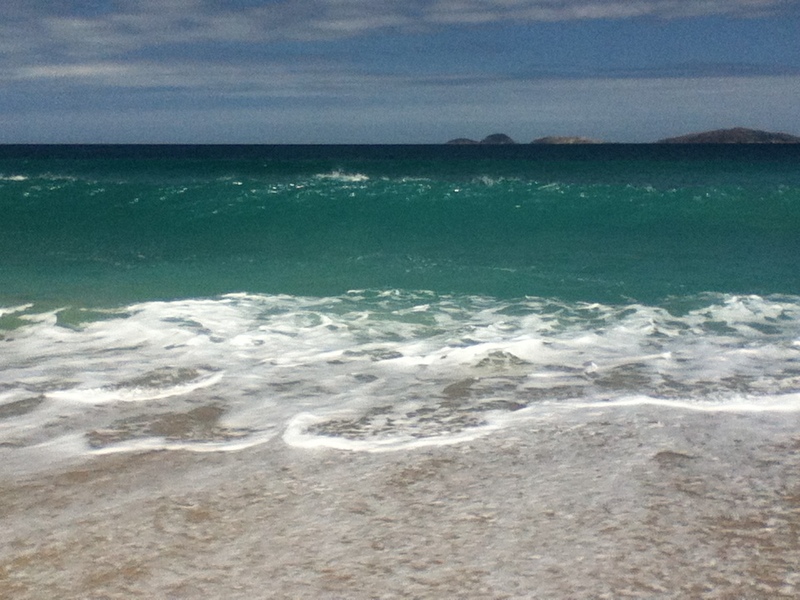 We spent the afternoon at the beach watching the spectacular bright blue waves crashing into the shore. On the final day we packed up camp with the majority of out kit dry. 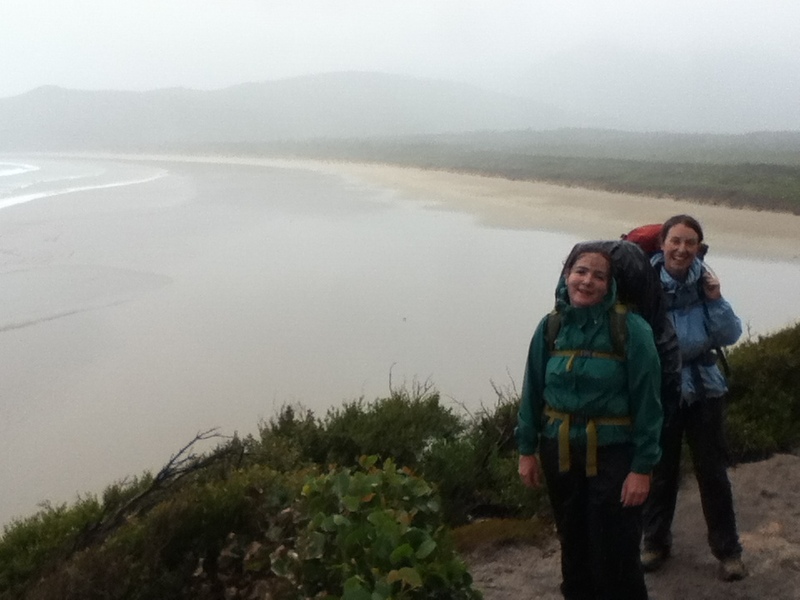 We were all a little weary from two nights of restless sleep, but felt ready to tackle the hike back to Tidal River. The difference a little sun made was remarkable. The walk seemed ten times faster than our first day and one hundred times more enjoyable! In total we hiked 40km over three days. We bumped into people who had hiked 39km in one day but we didn’t let that cloud our achievement. There’ll be plenty of days hiking 39kms on the PCT. Looks like a nice hike…and a good training!